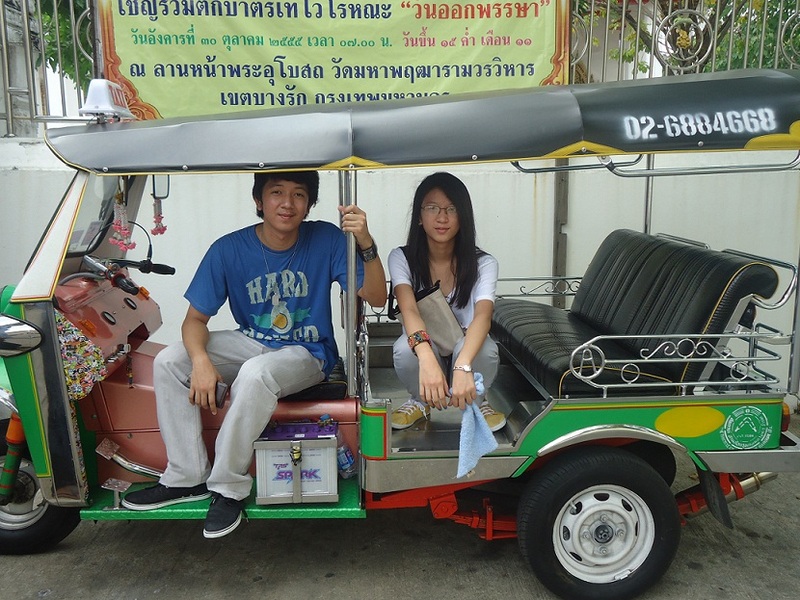 One of the most commonly used transportation during our one week stay at Bangkok is Thailand's traditional Tuk-Tuk. This is 3 wheeled vehicle just like our very own tricycle. But I guess, it would be better if we will be using the same in the Philippines, right? I mean, it's more comfortable for the driver and the passengers, as well. It's wider and a 3 seater. Actually, this Tuk-Tuk is no longer new to me as Cambodia also uses this as one of their means of transportation. I always see tourists riding on a Tuk-Tuk every time they tour the city of Phnom Penh. In Bangkok, we usually rely on the Tuk-Tuk especially during rush hour as it's a bit hard to get a taxi and some more this is convenient if you are just traveling short distance. 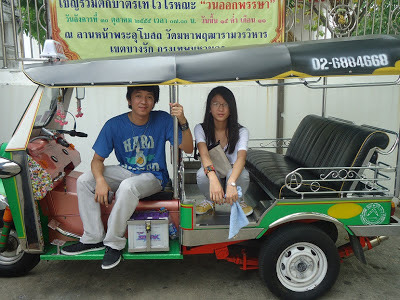 Riding on a Tuk-Tuk enabled us to embrace more of the Thai's culture and I would say, we really have loads of fun!